What Is A Medicine Wheel And How Can You Create Your Own ? Medicine wheels were constructed by laying stones in a particular pattern on the ground. Most medicine wheels follow the basic pattern of having a center cairn of stones, and surrounding that would be an outer ring of stones, then there would be “spokes”, or lines of rocks, coming out the cairn. Almost all medicine wheels would have at least two of the three elements mentioned above (the center cairn, the outer ring, and the spokes), but beyond that there were many variations on this basic design, and every wheel found has been unique and has had its own style and eccentricities. The most common deviation between different wheels are the spokes. There is no set number of spokes for a medicine wheel to have. The spokes within each wheel are rarely evenly spaced out, or even all the same length. Some medicine wheels will have one particular spoke that’s significantly longer than the rest, suggesting something important about the direction it points. Another variation is whether the spokes start from the center cairn and go out only to the outer ring, or whether they go past the outer ring, or whether they start at the outer ring and go out from there. Medicine wheels have been built and used for so long, and each one has enough unique characteristics, that archeologists have found it nearly impossible to tell exactly what each one was for, and haven’t had much success at making broad generalizations about their function and meaning. One of the older wheels has been dated to over 4,500 years old; it had been built up by successive generations who would add new features to the circle. Due to the long existence of such a basic structure, archeologists suspect that the function and meaning of the medicine wheel changed over time, and it is doubtful that we will ever know what the original purpose was. It is not hard to imagine that medicine wheels, like most large stone structures, would probably have served a ceremonial or ritual purpose. There is evidence of dancing within some of the wheels. Other wheels were probably used as part of a ritual vision quest. Astronomer John Eddy put forth the theory that some of the wheels had astronomical significance, where the longest spoke on a wheel could be pointing to a certain star at a certain time of the year, suggesting that the wheels were a way to mark certain days of the year. In the Hopi Medicine Wheel of the Hopi prophecy of the four peoples of the Earth, the cardinal direction North represents the body, plants and animals, the color white and ‘white skinned peoples’, and Childhood. (can also represent birth, and/or meeting a stranger and learning to trust as in infancy, explained in Erik Erikson’s stages of Psychosocial development). The East is held to represent the mind, air, the color yellow and ‘yellow skinned peoples’, learning the groups to which people belong and Adolescence. The South holds the heart, fire, the color red and ‘red skinned peoples’, and Adulthood. Finally West holds the spirit, water, the color blue or black, and ‘black-skinned peoples’ and Elderhood. West also represents the final life stage in the wheel, being an elder and passing on knowledge to the next generation so that the wheel may start again just like the circle it takes after. In many other tribes, however, the Northern direction corresponds to Adulthood (the White Buffalo), the South represents Childhood (the Serpent), the West represents Adolescence (the Bear) and the Eastern direction represents Death and Re-birth (Eagle). In terms of social dynamics, community building and the use of Circles in Restorative Justice work, the four quadrants of the circle correspond to Introductions. The most widely used version of the Medicine Wheel comes from the Lakota tradition. At its most basic, it consists of a large or special center stone to represent Wakan-Tanka, the Great Everything, and four smaller stones to represent the cardinal directions (N, S, E, W). Sometimes four even smaller stones representing the ordinal directions (NE, SE, SW, NW) are also used. The Medicine Wheel can be of any size. Outdoor Medicine Wheels can be made large enough for a group of people to sit within it. It can be made much smaller so that only you can sit within it. Or it can be made in a small travel-size which you sit outside of and that can be taken anywhere and set up anywhere. To learn how to make a small, portable and powerful medicine wheel using crystals, click here. No one Medicine Wheel is the Medicine Wheel for all of Native America. The differences as mentioned are extremely wide. One must also remember that the Medicine Wheel is exceptionally individual. A person can develop their own Medicine Wheel that has their own Animal/Spirit Helpers. This knowledge may happen in ceremony, visions, or dreams and other. This type of Medicine Wheel can be so private that only the person and The Creator are aware of its existence. New Moons, in general, are a perfect opportunity to plant seeds, set clear intentions about what you want to create and get the energy ready for manifestation. This one is no exception. However, the cancerian energy that adds up to this new moon and all other celestial events are contributing to the energy waves we are flowing through right now. 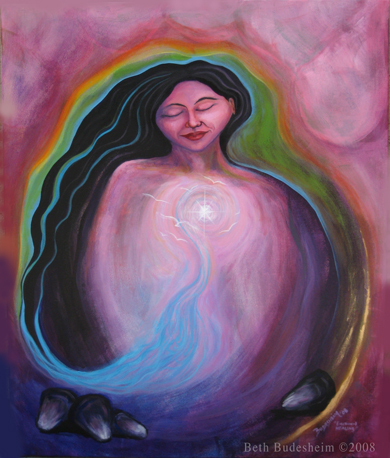 What I feel when I tap into the collective energies is first and foremost deep emotional healing. This emotional healing has many branches, it’s complex and very unique to each individual. It splits into many themes that are being played out now and in the next few months as well in order to be transformed. We’ve reached a point in our ascension where transformation and transmutation of major individual and collective dysfunction happens smoothly and easily. A lot of this dysfunction goes way back and many of it have been stored in the cellular memory, which is why it might be quite challenging. This might look a bit like the karma many people are talking about, except karma as a concept is an old paradigm program. In truth, it is just the Illusionary/dualistic energy being brought up to the surface as a result of increasing higher vibrations, in order to be transcended into the highest light. Spending more time with yourself and doing a more inner work than usual might be the case. We are recalibrating. Since many of the planets are in retrograde, a lot of self-mastery is going to be needed and integrated in our beingness, especially in our relationships with others. Observe your reactions and try to turn them into responses. Respond with love always. Deeper levels of self-mastery that involves compassion, self-love, understanding and forgiveness are to be learned as we overcome the challenges that we find on our path. We are the ones creating them as from a higher perspective they are great opportunities for expansion and accelerated growth. In terms of Soul purpose, some connections will strengthen, some people will leave our space for new ones to come. Partnerships will be created that benefit all and they will be the catalyst of great changes. People are working on different levels and on different facets of the divine plan, but at this time collectively we work on project Freedom and all that represents. Freedom means different things to everyone and has many aspects itself, but in essence at this time, it is all about freedom of being. More people are beginning to vibrate at that frequency and as a result of that, many things are changing in the outer world. You can see it all over if you pay attention. I will expand into this specific subject – freedom – in an article soon. With all that being said, try as much as possible to not focus your attention and energy on supposed outer events that are placed in the future at specific times, as this robs you of the joy of the present moment, it doesn’t accomplish anything and it is a waste of energy. Nothing truly happens outside of yourself, no event happens without you creating it. Patience is required and when you are present in the Now, patience comes naturally.